Some readers, new to archaeology, particularly students like those on MOOC courses, discover that the evidence based arguments about Roman Military archaeology found on this blog , are not well received by their tutors. It is important to understand that many academics can only understand archaeology when it is written down, having no experience of real archaeological interpretation. As a result, the text of an archaeological report, rather than the evidence can become an article of faith, and ideas become embedded at a fundamental level, immovable objects, that actual serve to inhibit understand in the subject. 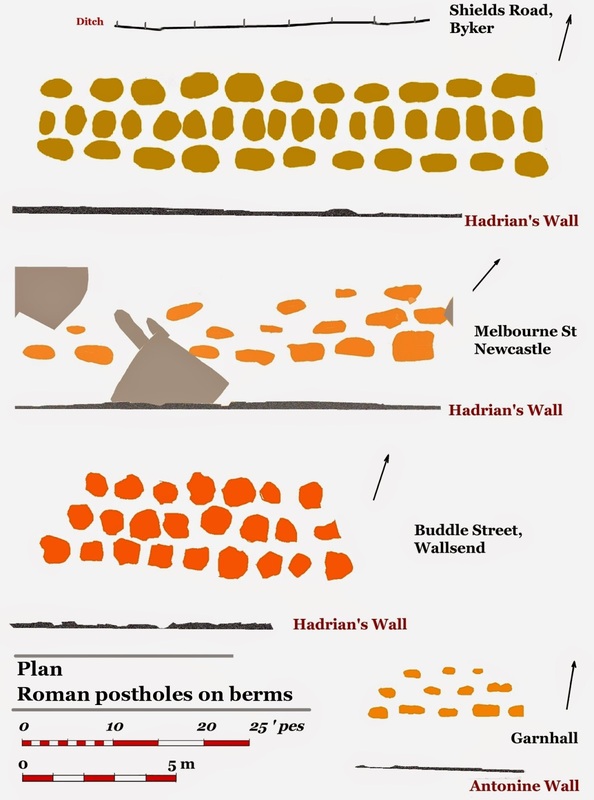 Ideas developed around the evidence for a primary timber phase of Hadrian's Wall, based on the reevaluating archaeological evidence from an engineering point of view, have produced the only cohesive, coherent, and consistent account of the early phases of the Wall. [here] However, while this blog may give the readers the arguments to deconstruct existing ideas, that is not the name of the game. Disappointingly, for students, it is a game, a bit like Chess, only more expensive, in that the board and its pieces are fixed, you may not bring in pieces from other games or remove any existing pieces; the object is to remove the pieces from the box and arrange them in the correct order, going beyond this and start making moves is to lose. It is not just using the evidence, but arguments about the engineering of timber structures is also going to get a chilly reaction; what cuts ice in Roman studies is Latin. 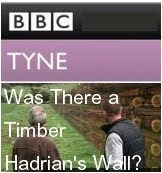 The Timber Wall phase was a vallum, but thanks to Bede's hijacking of the word, I can’t use the word in its proper context, and as politicians know, what things are called does matter, it can affect the whole way we conceive of the past. Thus, while most authorities are agreed that it is not defensive in nature, they have retained the idea of a boundary, however irrational, and although it has all the characteristics of a cutting for a road bed, this is a perceptual shift too far. 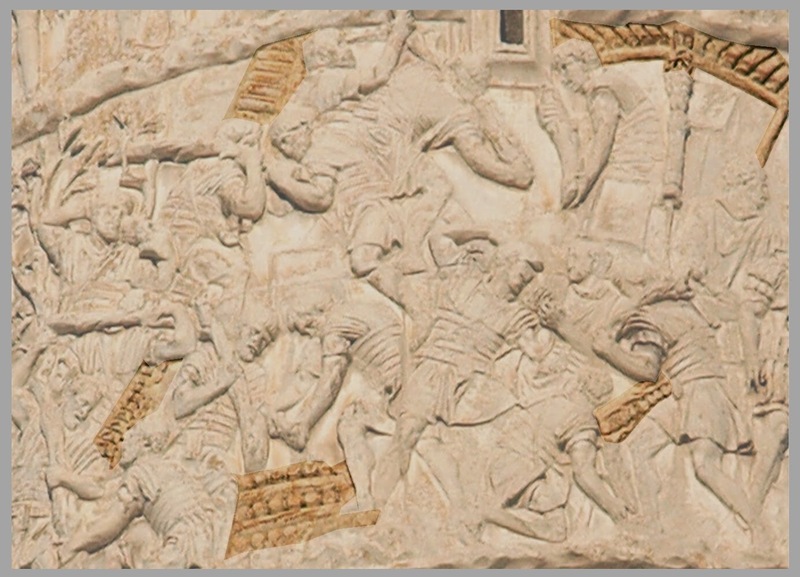 As I have discussed in some detail previously, [here], in his account of the siege of Alesia, Caesar describes additional obstacles constructed by his troops beyond his main ramparts and ditches [Caes. Gal.7.73], as follows. Cippi is term used to describe an entanglement formed by embedding branches or logs with limbs still attached in a series of 5 foot deep trenches. A Lilia was a concealed tapering circular hole, about the size of man’s foot, in which a sharpened stake firmly embedded; [Shaped like a lily flower]. Neither of these terms matches in any way the nature of archaeological features to which they have been ascribed. From the context, lilia and cippi are clearly soldiers’ slang, a bit of black humour Caesar is sharing with his readers, and their significance to the narrative is that helped break up a Gaulish night attack discussed in a subsequent chapter, [Caes. Gal. 7.82]. 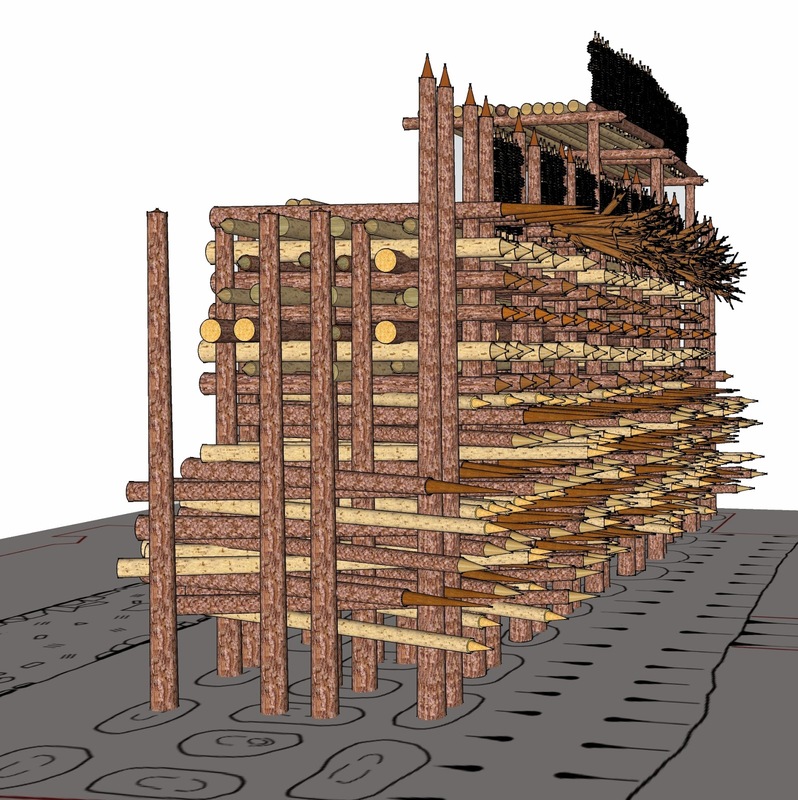 However, because they were central to way the Roman army campaigned, there are dozens of references to ramparts and other timber structures in Caesar’s writings which provide a perfectly rational explanation of such features. 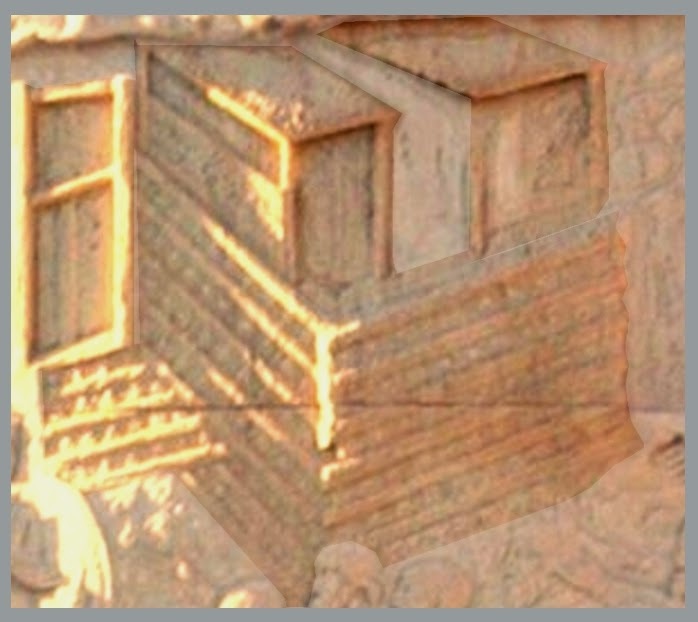 In addition, Trajan’s column provides more contemporary illustrations of the nature timber structures built by his troops during the Dacian Wars (101–102, 105–106). [illustrated; those with grey borders have enhanced colouring of relevant detail]. The large rectangular pits at Rough Castle [left], commonly referred to as Lilia, are the wrong size and shape - unless the enemy was wearing huge oversized clown shoes! I have already suggested on the basis of reverse engineering that these postholes can be modelled as a form of timber strongpoint or redoubt. [here] Such as structure could have a solid timber base becoming progressively hollower towards the top; entry could be by a narrow passages sloping passages. It could be argued on the basis of comparison with the watchtowers, which would be based on suitable timber, that 40-50 feet is not unreasonable as a starting point for the height of such a structure, but the army excelled at building tall structures. 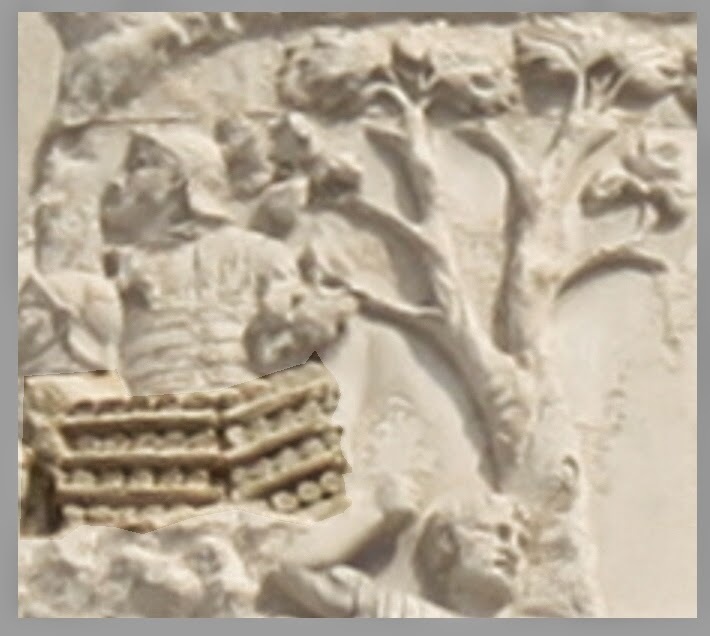 [It has been suggested that this structure on Trajan's Column could be a large stack of wood for a beacon]. This type of assembly would form a good basis for improvising structures as required. As with the modelling of the timber wall, the starting point is the primary evidence, and the precise position of posts represented by the features recorded in plan and section. It is the aim of this approach that the arguments embodied in model should be strong enough in their own right to make a case, without reference to other material. This ensures that new ideas can emerge about the engineering of ancient structures, allowing for interpretation rather than simple comparison, in contrast to text based archaeological research. 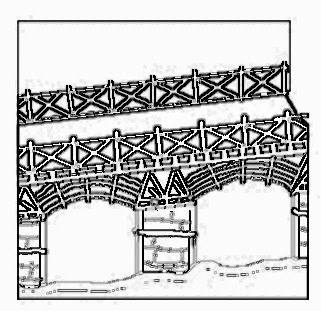 In earlier periods supporting or corroborative evidence is not available, but written sources and illustrations are available in the Roman period, which although distinct and secondary to the archaeology, do help support the structural principles embodied in the model. It is clear from the writings of Caesar that the Romans built fortifications in the field which are distinct from camps. It occurs in a variety of different situations, including as a description of native positions, [Caes. Gal. 2.28/29/32; 3.1], and translators use a variety of english words depending on the context. 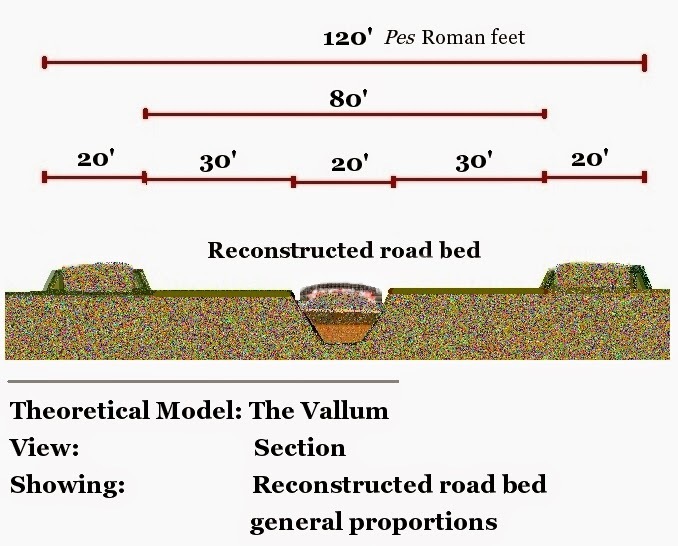 At the beginning of the Gallic wars Caesar builds an 18 mile, 16 foot tall rampart with a ditch to prevent the Helvetii invading the territory of Sequani. When that work was finished, he distributes garrisons, and closely fortifies redoubts, in order that he may the more easily intercept them, if they should attempt to cross over against his will. An interesting reference comes in Book II where he digs ditches on the flanks of his army with “forts” to help prevent his army being outflanked. This suggests something district from a typical fort in the sense of fortified camp, used as a base for artillery, perhaps the same is true of the for the “fort” commanded by Titurius built to guard a bridge, [Caes. Gal.2.9]. 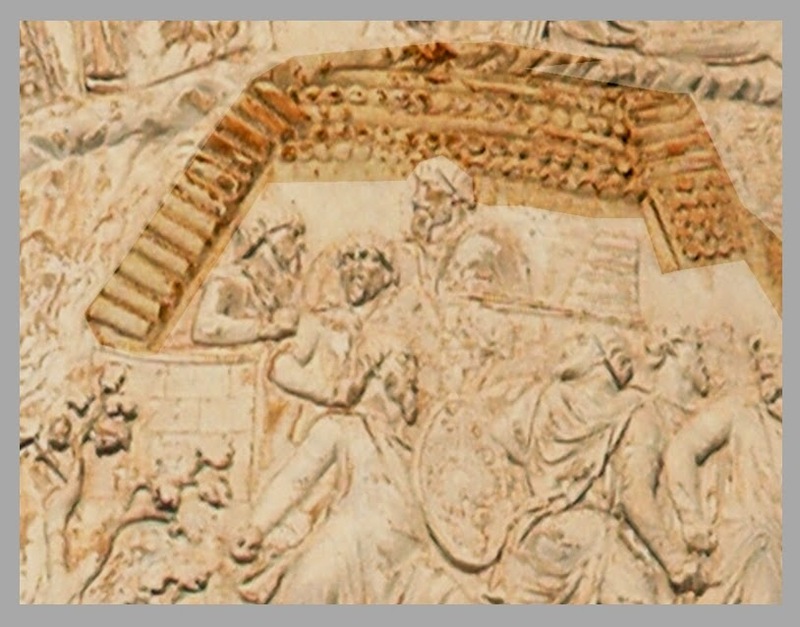 Another clear distinction comes during the siege of Alesia. The circuit of that fortification, which was commenced by the Romans, comprised eleven miles. The camp was pitched in a strong position, and twenty-three redoubts were raised in it, in which sentinels were placed by day, lest any sally should be made suddenly; and by night the same were occupied by watches and strong guards. These "redoubts" are distinct from camps and the main fortifications, but are clearly capable of housing significant numbers of troops, as is clear from their role during the climatic battles to break the siege. But Marcus Antonius, and Caius Trebonius, the lieutenants, to whom the defense of these parts had been allotted, draughted troops from the redoubts which were more remote, and sent them to aid our troops, in whatever direction they understood that they were hard pressed. 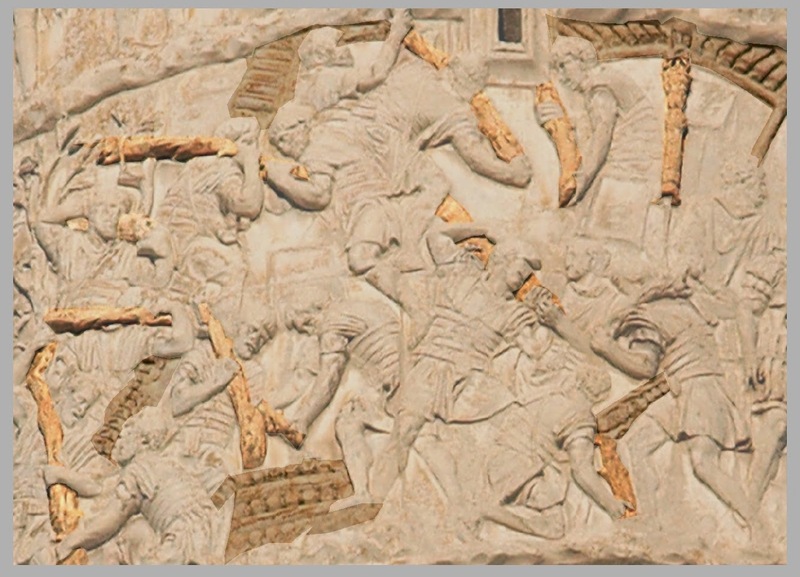 Later in the campaign in Gaul during initial siege of Uxellodunum by Caninius, he distributes his troops in strong points, having insufficient forces to completely surround the town. Sometimes also attacks were made on our little forts by sallies at night. For this reason Caninius deferred drawing his works round the whole town, lest he should be unable to protect them when completed, or by disposing his garrisons in several places, should make them too weak. As at Alesia, we see numbers of troops can be housed in these particular installations which seem to be distinct from our traditional view of Roman camps and forts. Although the basic construction method may have been similar, to that used to build ramparts. Everywhere archaeologists have looked in recent years, lines of double postholes have been found behind the ditches on both the Hadrianic and the Antonine frontier, from which is possible to reverse engineer a timber rampart. I have argued that these features represent a core of posts around which layers of horizontal timbers were knitted. While it is not a primary consideration, as this is deductive reasoning, it is also entirely consistent with other sources of information about military architecture. 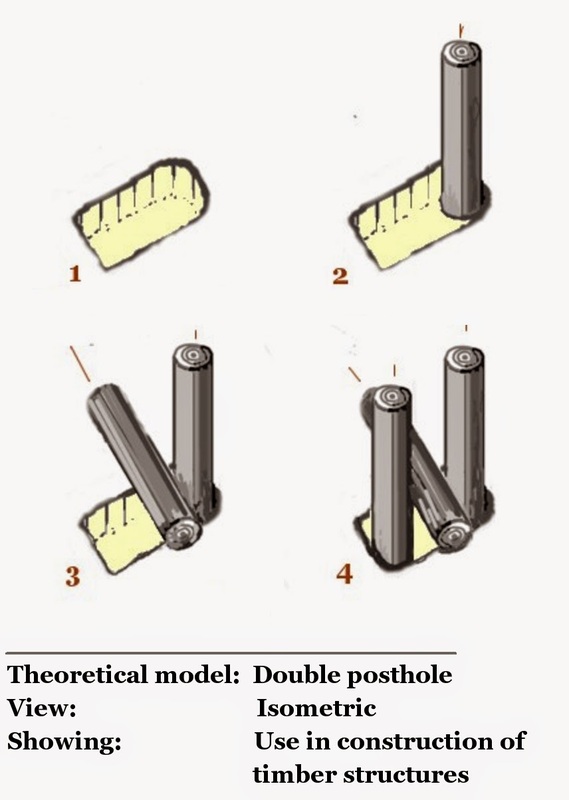 The key feature of these types of structure is the use of double post pits; it might be assumed this is the simplest and quickest method of construction for soldiers working in small teams, whose principle tool was a similar to a mattock [lingo / dolabra]. I have already drawn attention to the regular layout of these features, although, notwithstanding they have been robbed, the variation in size suggests that they were also dug to suit individual pieces of timber. 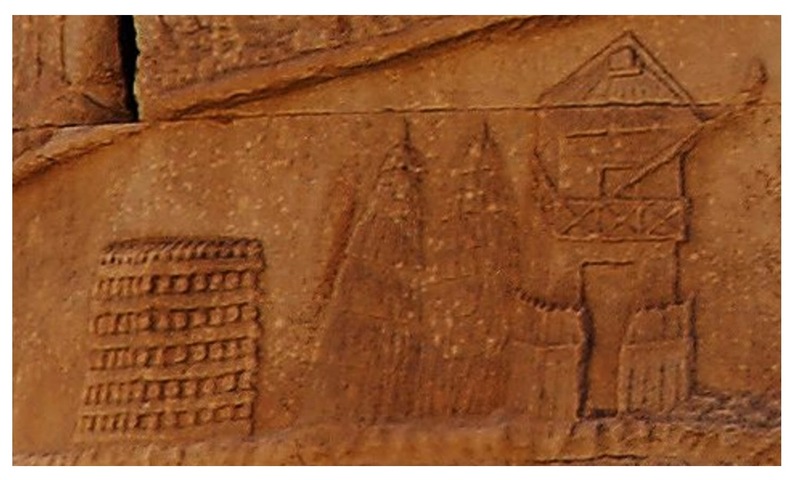 In Vitruvius we find a description of how to build a Ballista; the key information is given as proportions; scale is a matter of circumstances. It has certainly been a working hypothesis that the engineering of this type of structure would be based around a measured systems or modules. While it would be useful for understand this system, the existing sample represents a rather small disparate set of data. In addition, since most of the structure is invisible to archaeology, we cannot be sure of the significance of what can measure. 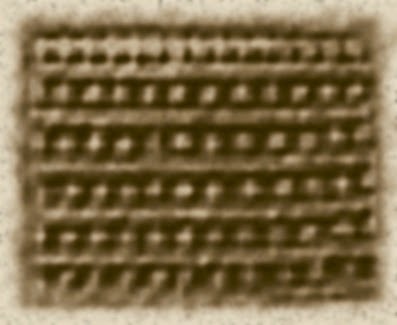 The only consistency is in having three rows; although it might perceive that the outer lines of pits should be paralleled with the inner one offset, this does not apply at Shields Road. This variation is probably not a concern, since we have a tiny sample of a very large structure built by many hands, although unlike the stone Wall, I would suggest that this was completed in one season, possibly AD 119. 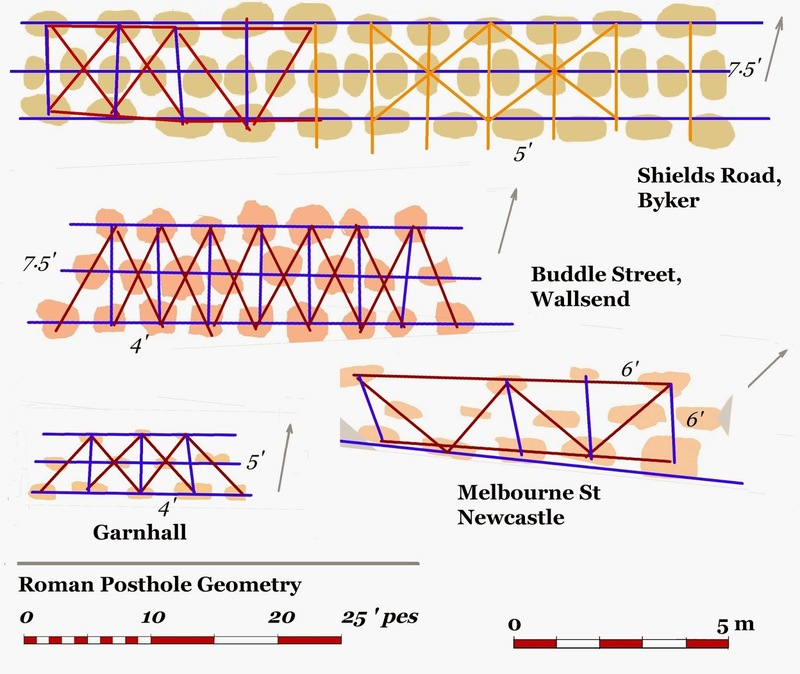 Shields road is the largest sample, but only the western bit is regular the next section is very different; in the space of 11 outer pits there are 18 along the middle. I think it likely that other postholes visible on the photographs may also be part of structure. At Buddle St, I am still uncertain if there are any double posts in this section, and this requires further work with the achieve. It is a unique situation; it is my understanding that there was already a road in existence running north from the river were presumable there was a dock, and perhaps even some form of ferry. 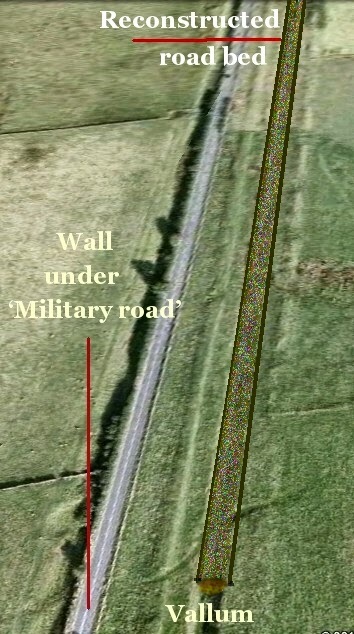 This section was attached to a gatehouse structure, blocking the road, to the west of the road there is few metres of more conventional looking postholes. The recently published section at Melbourne Street  is very similar to Garnhall on the Antonine Wall , in that it is formed by three parallel rows. This section is distorted; however, they appear to have dug into a stream bed which has been heavily piled in modern times. Thus, it is appears that while these structures have been laid out with some degree of precision, the variation and sample size makes this merely an interesting observation. 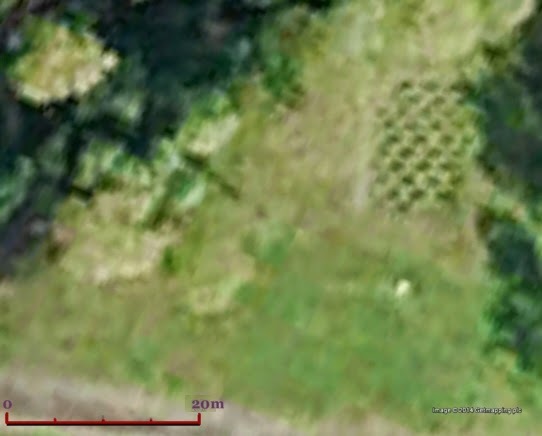 Theoretical structural archaeology was developed as a methodology to study timber structures, predominantly those represented by postholes, since this is usually all that remains of the built environment. It is based on the idea that structures are rational, the product of mechanics, and can be understood on this level via a process of reverse engineering by model building. It is not derived from consideration of the existing narrative, but from an investigation of the primary evidence. While this approach was intended to deal with the problems of Prehistoric evidence, it works just as well, if not better, with Roman material, where we understand the context and technical culture in greater depth. 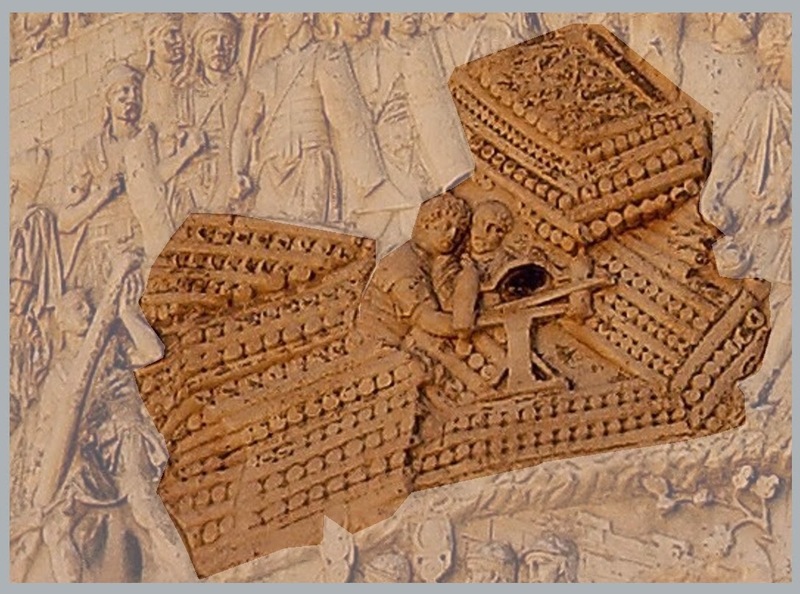 The writings of Caesar are a fabulous survival which I have used them extensively to contextualise the archaeological evidence; there are over 40 passages relating to military engineering using timber for fortifications. However, for reasons that are not entirely clear, one passage  has dominated thinking about this group of features, and become a prodigious source of bunkum, but more significantly, has hobbled the study of the Wall. While written language is important, there is another sort of literacy, that professionals often require, visual literacy, usually a specialised sort, like being able to read drawings, diagrams, or x-rays. A lack of appropriate visual literacy among academics and teacher results in dependence on texts, and research that merely rehashes exiting literature. What is damaging for Archaeology as a professional, is that teachers, since they cannot see and hence think like an archaeologist, can only reproduce an academic reading skill set in their students. 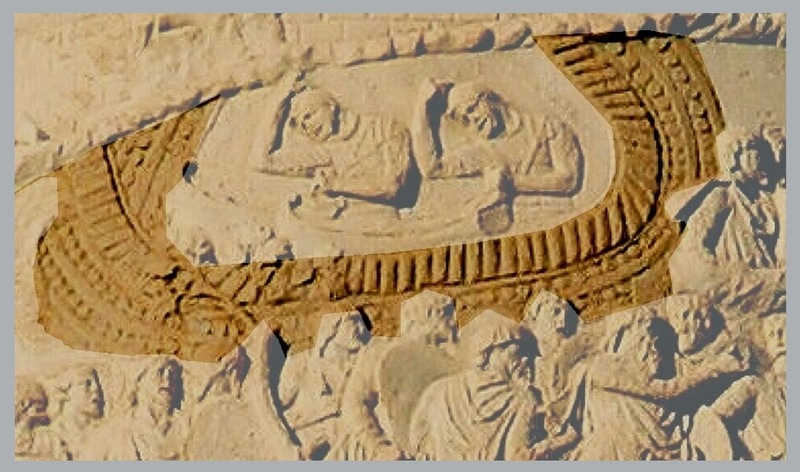 Interpretations like the Rough Castle “Lilia”, “cipi”, and even the “Turf” Wall, demonstrates that “peer review” engenders both a suspension of disbelief and critical thinking that can turn archaeology into self-referential faith based study. Specialised areas of study become can easily become debased and politicised when the existing narrative becomes compromised by unfounded but “peer-reviewed” ideas which have to be fitted in. The use of CAD modelling further exacerbates these problems, in that, it cannot be easily peer reviewed, it represents deductive reasoning which falls outside the scope of existing scholarship, and challenges the primacy of written word. The existing system can happily ignore evidence that does not suit its purpose, but problems arise when people, new to archaeology, find these ideas and understand them, only to find out they ought to be “reading more widely”. While students may be in pursuit of understanding, institutions are in pursuit of fees, garnered for the minimum of effort; knowledge is not understanding, it is just another commodity; do not tamper with the packaging, it will invalidate your guarantee; caveat emptor. Bidwell, Paul T.; Watson, Moira. 1989 'A Trial Excavation on Hadrian's Wall at Buddle Street, Wallsend'. Archaeologia Aeliana, 5th ser., 17 (1989), 21-28. It was necessary, at one and the same time, to procure timber [for the rampart], lay in supplies of corn, and raise also extensive fortifications, and the available troops were in consequence of this reduced in number, since they used to advance to some distance from the camp, and sometimes the Gauls endeavoured to attack our works, and to make a sally from the town by several gates and in great force. Caesar thought that further additions should be made to these works, in order that the fortifications might be defensible by a small number of soldiers. Having, therefore, cut down the trunks of trees or very thick branches, and having stripped their tops of the bark, and sharpened them into a point, he drew a continued trench everywhere five feet deep. These stakes being sunk into this trench, and fastened firmly at the bottom, to prevent the possibility of their being torn up, had their branches only projecting from the ground. There were five rows in connection with, and intersecting each other; and whoever entered within them were likely to impale themselves on very sharp stakes. The soldiers called these "cippi." Before these, which were arranged in oblique rows in the form of a quincunx, pits three feet deep were dug, which gradually diminished in depth to the bottom. In these pits tapering stakes, of the thickness of a man's thigh; sharpened at the top and hardened in the fire, were sunk in such a manner as to project from the ground not more than four inches; at the same time for the purpose of giving them strength and stability, they were each filled with trampled clay to the height of one foot from the bottom: the rest of the pit was covered over with osiers and twigs, to conceal the deceit. Eight rows of this kind were dug, and were three feet distant from each other. They called this a lily from its resemblance to that flower. Stakes a foot long, with iron hooks attached to them, were entirely sunk in the ground before these, and were planted in every place at small intervals; these they called spurs. [6 ]Lewis, Charlton, T. An Elementary Latin Dictionary. New York, Cincinnati, and Chicago. American Book Company. 1890. 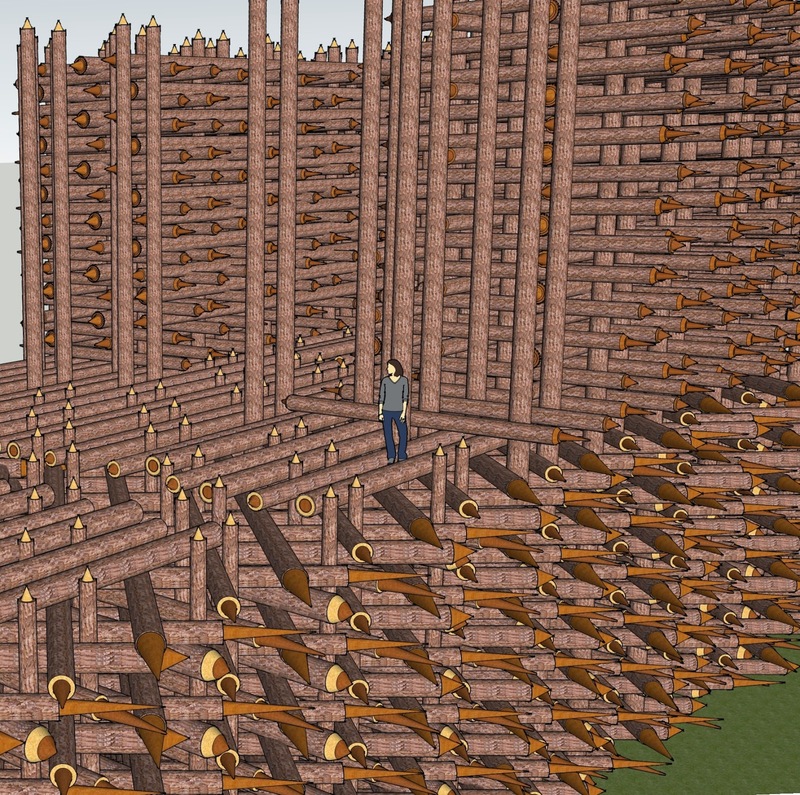 Was all this done just by laying roughly trimmed logs on top of each other, without nails or ties or joints? 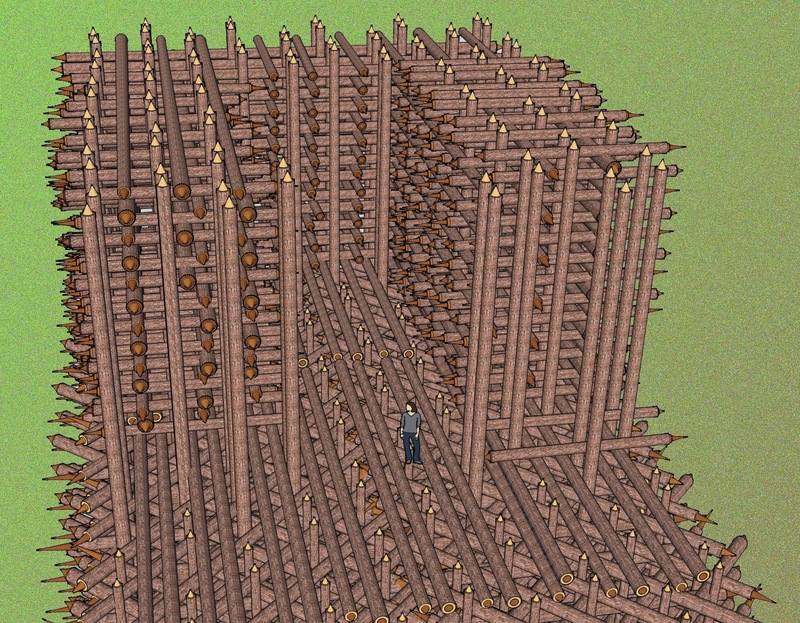 I'm still amazed by the amount of wood required. How far must they have ranged to cut and carry all that timber? How in fact could they have carried the logs? Were they small enough to be carried by one or two men? For days of travel? Whilst also foraging? How does the manpower required to get and use so much wood square with the other military needs such as foraging, scouting, or defending their camp? Could they have spared so many men before the enemy had been subdued? Might the images have been of a few showpieces for propaganda rather than for miles of thick and high walls and densely placed stakes? Is there any evidence from the soil that the Romans stripped the tree cover from extensive areas adjacent to these constructions? How long did it take to regrow, if it ever did? 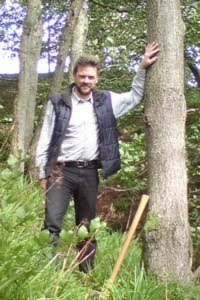 As discussed in the previous post; i discuss the environmental evidence indicates considerable amounts of woodland, which was cleared in this period. In the evidence from the ditch samples there is a rise of birch - which would indicate to me a period of regeneration. The Roman had a very large force of soldiers and possibly slaves / POWs, whose sole purpose was to build and man the frontier; that is what they were there for. The sheer scale of ROman Engineering never ceases to amaze me and how it has often stood the test of time too. It would be amusing if we could get a Roman Engineer Team from the past and have him meet with a modern engineer team and exchange notes. I think the people who built the first canals might have more to say to the Romans, although they had explosives. In Northern Britain most of what you see is represents an impressive application of manpower, organisation, and logistics. The extent to which forced labour, prisoners or slaves on the frontier construction projects is very much an open question. The serious engineering is going on in Rome and similar urban centres where the use of concretes was at its technological peak.